I have something a bit different for you all today: a product review! 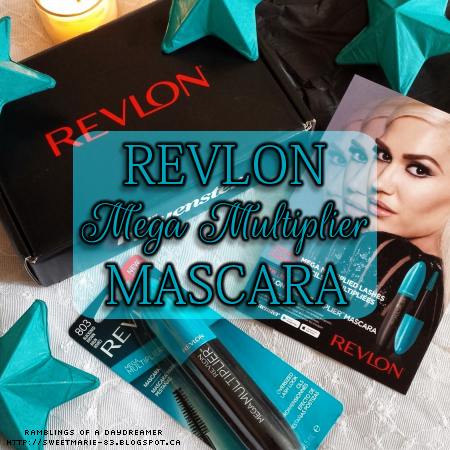 I was so excited to receive Revlon Mega Multiplier Mascara from Influenster. Pretty much the only makeup I wear on a regular basis is mascara, so I'm always on the lookout for a type I really love. 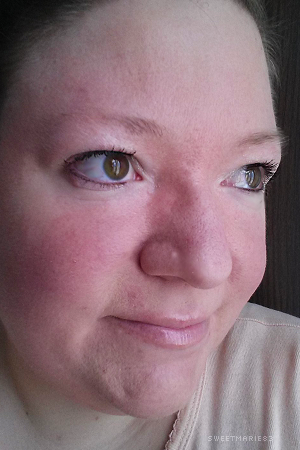 After using the Mega Multiplier Mascara for the last few weeks, I can honestly tell you it's my new go-to. It gives my lashes a natural look that’s perfect for everyday use. There are many days when I wear mascara from morning to night, and the Mega Multiplier Mascara doesn’t flake or smudge, no matter how long I wear it. I’ve fallen asleep with it on, and it doesn’t smear under my eyes or leave marks on my pillowcases like most other mascaras, which is a definite bonus! I also like that it doesn’t clump during application, plus the brush is the perfect size to get all my lashes, even the short ones near the corners of my eyes. My lashes aren’t naturally very long or thick, but this formula really enhances them, and I feel confident with this as an everyday look or even for a nighttime look with additional makeup. If you're looking for a long-lasting mascara at a great price, I wouldn't hesitate to recommend Revlon's Mega Multiplier Mascara. Have you tried the Mega Multiplier Mascara? What did you think? Do you have a favourite mascara? If you could only have one piece of make-up (mascara, lipstick, eye shadow, eyeliner, blush, etc), what would it be? I'll look out for that. Good mascara makes a huge difference. WOW!! It's a great collection of Revlon Mega Multiplier Mascara. 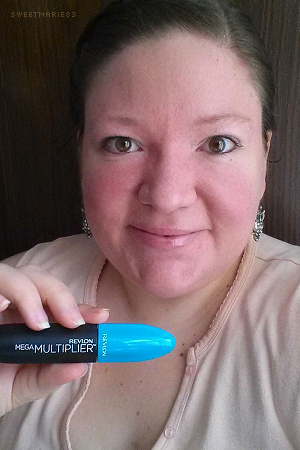 Thanks to share this beautiful Revlon Mega Multiplier Mascara. I believe makeup is an important part of women's life and a perfect lipstick gives a great look of hole makeup. That's why I love to use my favorite Liquid Matte Lipstick for my lip. I can't imagine a single day without my makeups.